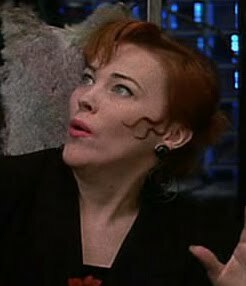 Yes it’s true – the one-time muse of Tim Burton, the secret weapon of every Christopher Guest movie, and possibly one of the most iconic screen moms of my generation, Catherine O’Hara turned 56 today. And in honor of the actress of so many faces that it’s astounding she hasn’t gotten more critical respect and notice through the years, we’re going to take a look at the magnificent career of one of the funniest ladies around. Though her beginnings were in the sketch comedy biz with SCTV in the early ’80s, it was the role of eccentric “artist” Delia Deetz in Beetle Juice that truly jump-started her film career. Thanks to the fantastic Harry Belafonte scene, O’Hara basically stole the show from her famous ghostly co-stars and up-and-comer goth chick Winona Ryder. And who could forget those out-of-this-world chairs? Thank you Delia. Then came 1990, and along with it, the biggest kid movie of our time – Home Alone. And whatever you may think about the blockbuster flick, you at least had to appreciate the frantic mothering of Kate McCallister. Inciting fear into the hearts of mothers everywhere, she accidentally misplaced her troublemaker of a son while trying to manage a household of international travelers. From her emphatic realization (“KEVIN!”) to her makeshift traveling partner, John Candy and his roving band of Midwestern polka-players, O’Hara holds her own with the then-uber-charming Macaulay Culkin. Sure, Kate’s made mistakes as a mother, but she’s relentless in maintaining her son’s well-being, which is why she’s one admirable screen lady. And oh, the voice work. Thanks to her early role as the leading quirky lady of Burton’s Beetle Juice, she landed a spot in his arguable masterpiece, The Nightmare Before Christmas. 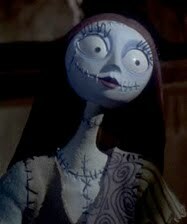 As the lovelorn Frankenwoman Sally, she’s a flighty, if vindictive, heroine to Danny Elfman‘s Jack. The voice work took the back burner for a while, but then at the turn of the millennium she took on Chicken Little, Over the Hedge, Monster House, and, most recently, Where the Wild Things Are. As Judith in Wild Things O’Hara took on a non-traditional role – this time as the grumpy pessimist who’s, as she puts it, “kind of a downer.” She’s deadpan brilliance and a great facet to the Max’s imagination. Let’s face it, we’re all a little Judith at times. Perhaps the tops of O’Hara’s work, though, is in the filmography of Christopher Guest. She channeled loopy small-towniness as Sheila Albertson in Waiting for Guffman. Honestly, who else could pull off that mental patient haircut with such ease? Then there was Cookie Fleck, the offbeat dog-owner who’s gunning for a Kennel Club victory in Best in Show. 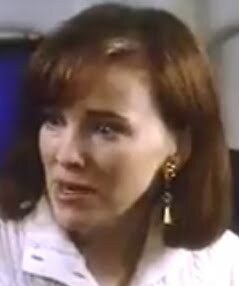 It’s easy to think first of zany Jane Lynch or Parker Posey in this, probably the best of Guest’s movies, but O’Hara is the narrative center (and there’s yet another ridiculous hairdo). Then came her big starring turn as one half of the central folk-singing duo (along with Eugene Levy) in A Mighty Wind. Mickey Crabbe is perhaps her most delicate Guest performance, and she’s believable as an actual autoharp-strumming vocalist. But my personal favorite of her roles is the Oscar-hungry Marilyn Hack in For Your Consideration. Watch this scene, and try and tell me she didn’t deserve an actual Academy Award nomination for this movie. 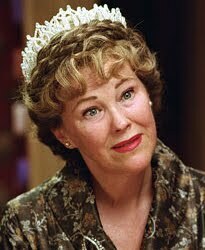 Now you tell me – what are you favorite Catherine O’Hara roles? For Your Consideration, which is also my favorite Christopher Guest movie, so there's that. Home Alone takes the cake for me. Everytime I see her, I think of how cool it would be to be Culkin in that movie!